KEVIN RAUCH/THE EXPRESS Charley Kepler, secretary of the 4H Club in Renovo received permission for the club to plant flowers at designated areas throughout Renovo at a recent Renovo Council meeting. Above, Kepler talks to council about the project. From left are, council member Pattie Rauch and Renovo Area Heritage Park and 4H advisors Mary George Rhone and Rich Wykoff. RENOVO — As Renovo Borough faced an uphill battle convincing Delaware Avenue residents to allow a walking path near the front of their properties, it turns out that Renovo was not awarded a portion of the Multimodal Transportation Fund grant that would have paid for the path. Council heard the news Wednesday night as council president Ann Tarantella read a letter explaining that grant applications totaling $399,500,000 were received for the $54,700,000 available, and Renovo was not selected as a recipient. A repaving of Delaware Avenue and Laurel Street hung in the balance of the multimodal grant. 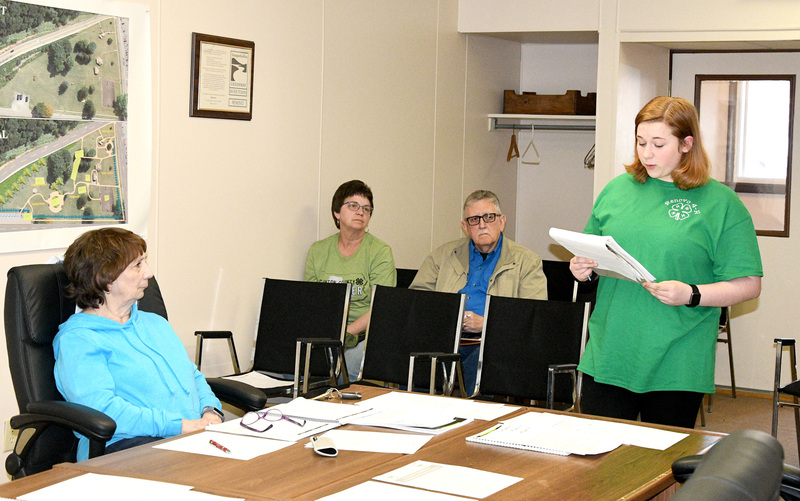 Charley Kepler, secretary of the newly formed 4H Club in Renovo, asked council for permission to plant flowers in locations throughout the town. The project would be in conjunction with Renovo Area Heritage Park. Council was so pleased with the request that not only did they approve all areas that the high school freshman asked for, but also added a couple of their own spots, including in front of the borough building. 4H has already received permission from the Clinton County commissioners to plant a vegetable garden near the district magistrate’s office at 9th Street and Erie Avenue. 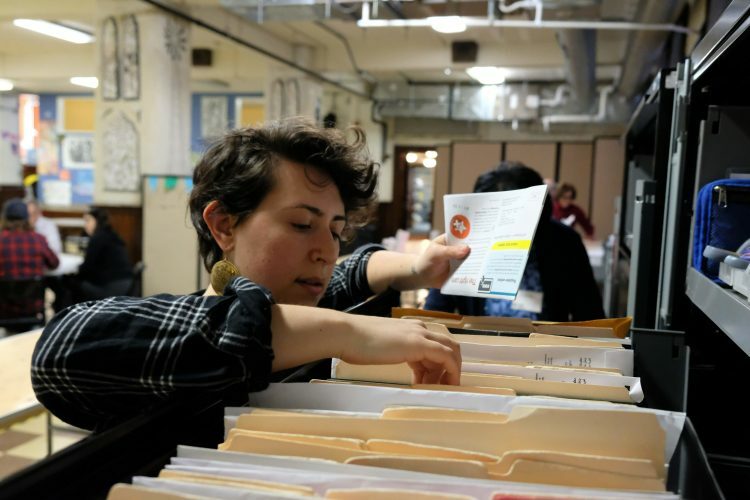 Kepler explained that a large part of 4H initial efforts have centered around photography and gardening as the group plans to grow throughout the community in a myriad of programs. The group will be planting in areas such as 16th Street park, Memorial Park, Ontario Avenue and 3rd Street. Council received a second bid, this one in the amount of $51,000 for the former Family Dollar site at 9th Street and Huron Avenue. Now that a second bidding procedure has passed, council can begin selling the property through a realtor. ∫ reported that Chapman Township now offers fingerprinting and background checks. ∫ approved hiring Tyler Riggle for the summer recreation program at the 16th Street park starting June 17. 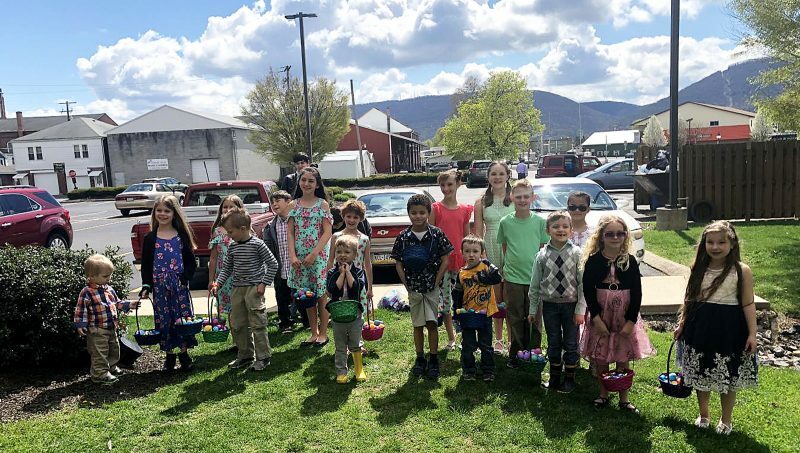 ∫ gave permission to Renovo Fire Department permission to hold their annual flashlight egg hunt at the 16th Street park on April 13. ∫ reported that the first new piece of equipment for the 16th Street park is slated to be installed May 16.